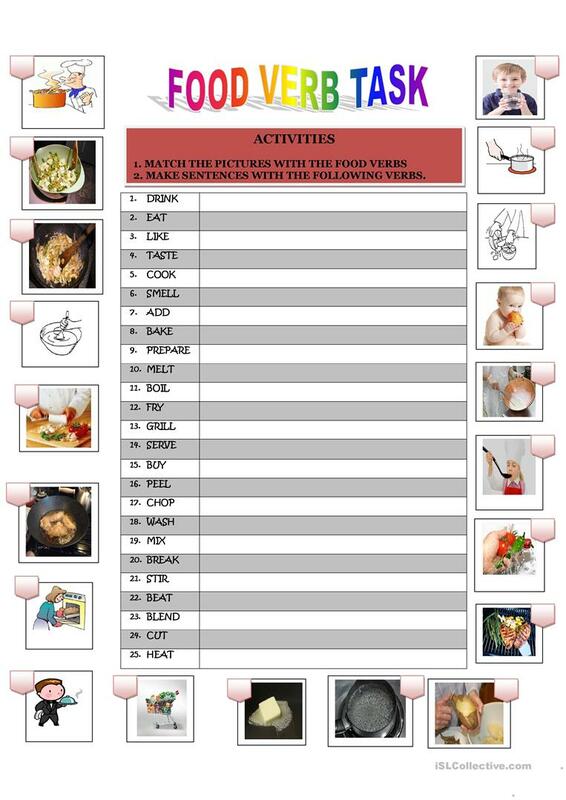 This activity will help the students with the verb meanings and then, they can make sentences. The above printable, downloadable handout is meant for business/professional students, high school students, elementary school students and adults at Elementary (A1), Pre-intermediate (A2), Intermediate (B1), Upper-intermediate (B2), Advanced (C1) and Proficient (C2) level. It is valuable for teaching Verbs: Action verbs in English. It is about the theme of Food.